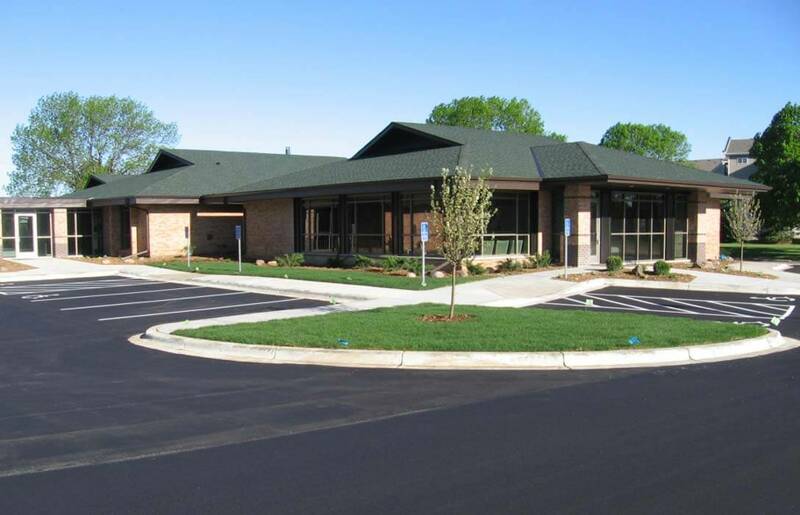 The project included the exterior renovation of a tired existing building to create a more dynamic street presence, and a renovation of the building interior to accommodate an orthodontic clinic. 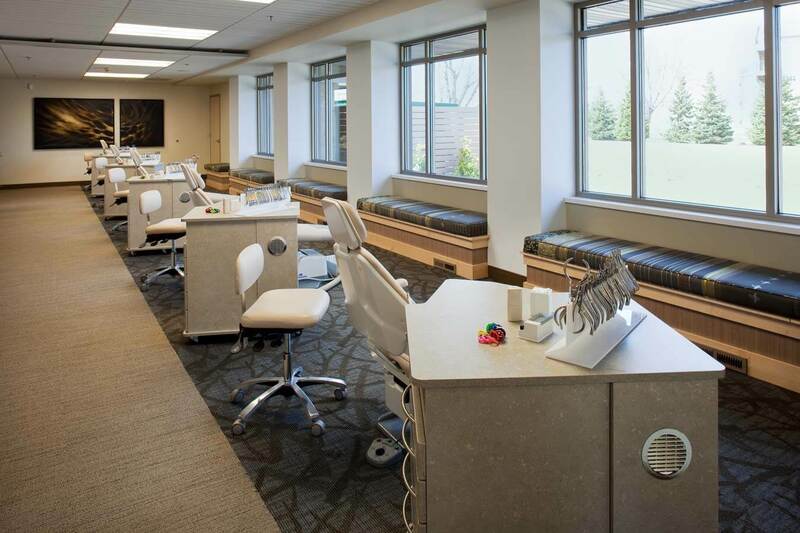 The design concept speaks to varying ages of children requiring orthodontic care. 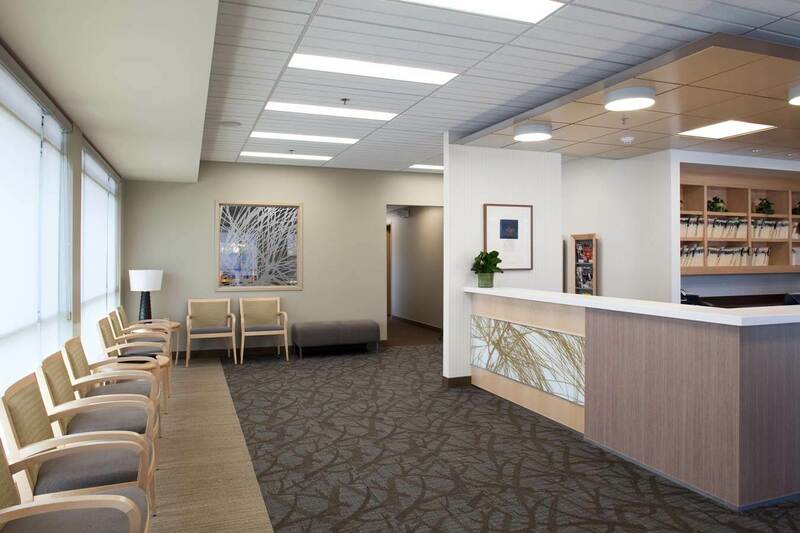 Entering the clinic, patients and their families are greeted by an open, airy reception area, bathed in sunlight from the new floor to ceiling windows. 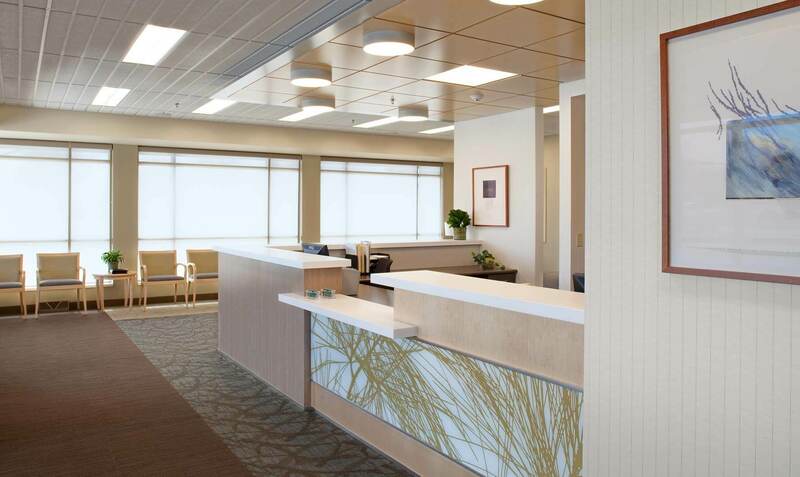 Light maple wood on the ceiling and desk is complimented by the warm, dark carpet on the floors. 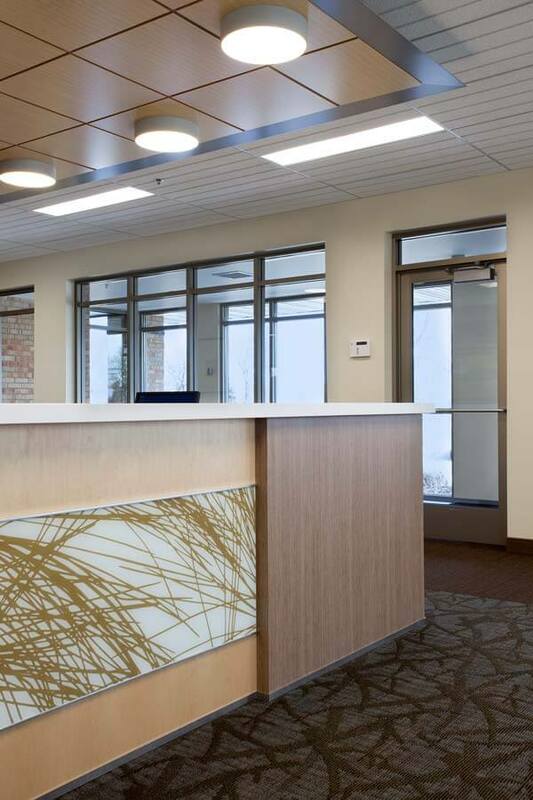 The lines are clean and crisp with an overtone of nature in the custom patterned decorative glass on the face of the reception desk. The maple wood continues throughout the space on all cabinets and special ceiling treatments. The exam bay again reflects crisp, clean efficiency. All of the chairs look out large windows which are anchored by a continuous maple bench with unending fabric panel cushions. 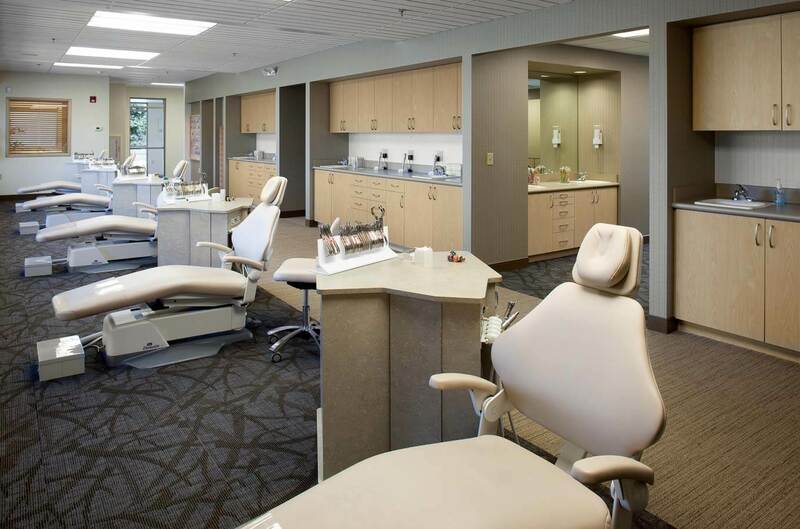 Mohagen Hansen also provided design services to this Orthodontist for the interior build out of a new clinic in Chaska, MN.